Evergreen is located just five miles from downtown Olympia, Washington. 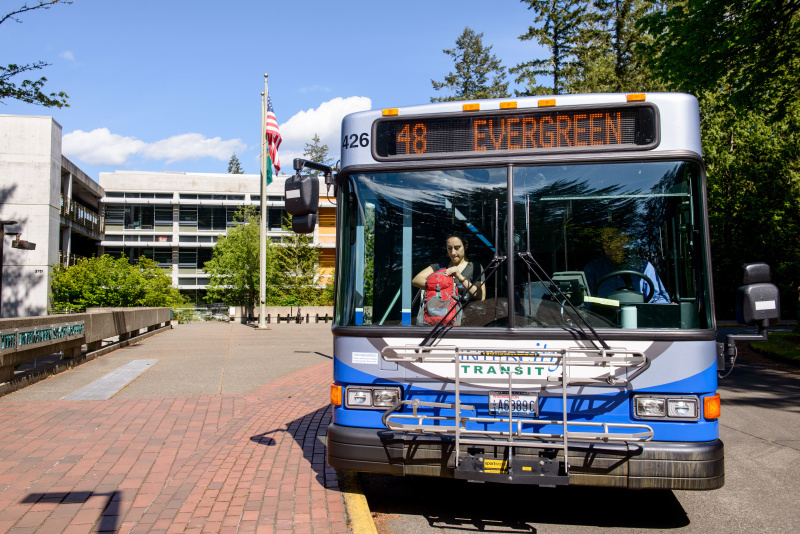 While many students, staff, and faculty use alternative modes of transportation, such as biking or public transit, nearly 40 percent of Evergreen’s annual greenhouse gas emissions are associated with traditional commuting. To reach our goal of carbon neutrality, we offer a variety of options for community members to green their commutes. Faculty and staff also have access to the Parking Passport program to get a limited number of free days of parking if they use alternative commuting methods.